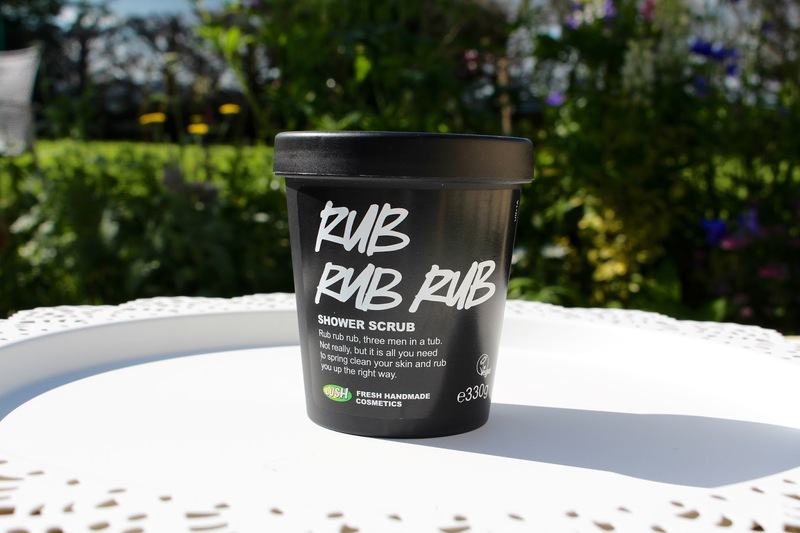 Lush Rub Rub Rub Shower Scrub! Hey everyone! Since its summer, not that the weather here is reflecting that very well, we’re all wearing a little less clothing and believe it or not I might even wear a skirt at some point! I think the key to keeping skin looking nice and fresh in the summer is using a scrub every few days and moisturising daily to ensure you’re skin stays nice and smooth, especially on the legs! I decided to try a new scrub as I’ve been using the same ones for quite some time now. I love Lush products too, as they’re all natural and generally they’re awesome. This scrub is brilliant, I don’t know why I didn’t pick it up sooner. It has a really beautiful smell which is described as a fresh blossom scent, however, I think it smells very refreshing yet still has a lovely floral undertone too it. Its a sea salt scrub so its pretty intense, this is why I don’t use it every day but on using it every few days it keeps my skin feeling super soft. You can use this on your scalp as well to add shine and volume to your hair, I’m yet to try this as my hair is pretty voluminous without giving it any encouragement but I really love how it has more than one use. 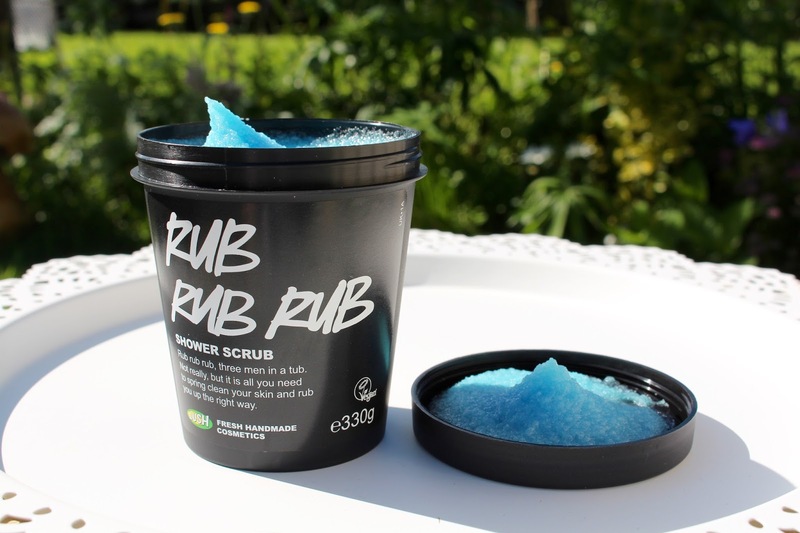 Its a really lovely scrub so if you’re in the market to try something new I highly recommend it. 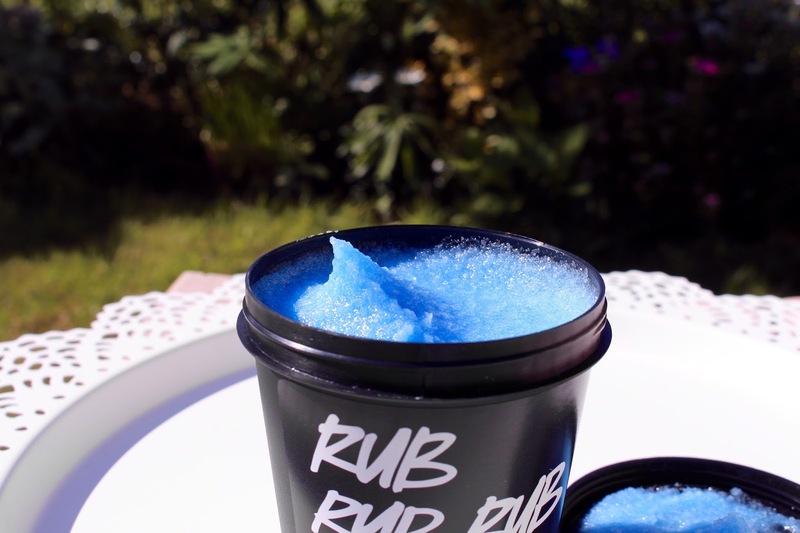 Lush Rub Rub Rub Shower Scrub – Available here. Previous Post Hourglass ‘Ethereal Light’ Ambient Lighting Powder! Next Post My Makeup Picks For Oily Skin!